This guest post was written by Scott of VacationCounts (also my husband and personal travel planner!) since I was unable to join him on this trip. Check out his blog to learn how to take more vacation time off and enjoy a healthy work-life balance. 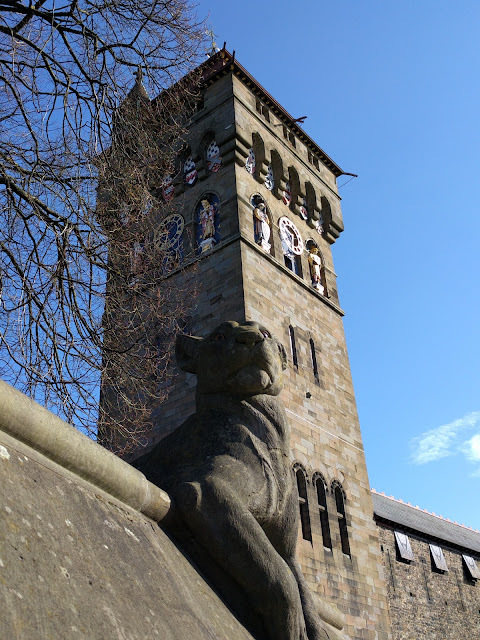 Since Dr J and I already took a city break to Cardiff a few years ago, my goal for this trip was to go beyond the city streets to see what this town is made of. The answer is coal. Coal mining made Cardiff one of the richest trading ports on the planet and led to its status as the capital of Wales today. 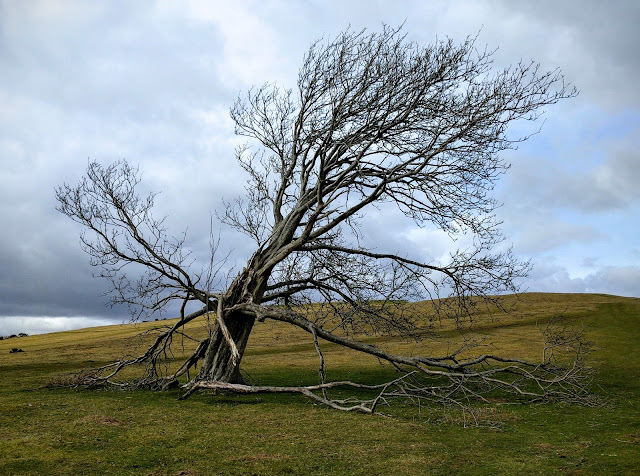 On this travel blogging trip to Cardiff to attend Traverse 2016, I explored the city a second time by heading to the mountains and mines of southern Wales. 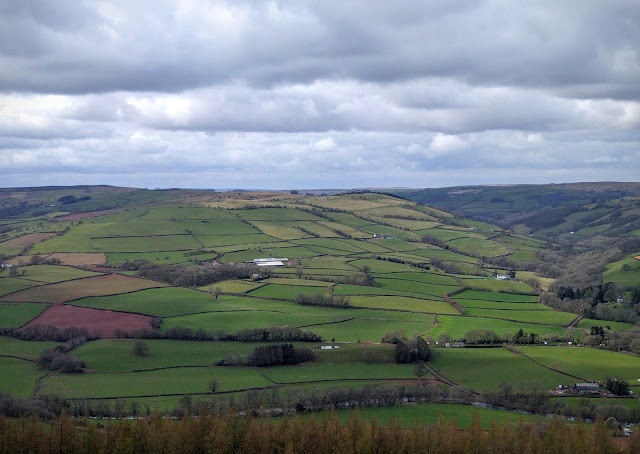 I'll also share with you my Welsh food finds and dig deeper into this enticing destination. I won't cover the conference specifically since you can easily find UK-based travel bloggers who attended and posted about Traverse. The first thing I noticed when walking from the train station (I arrived via the Cardiff Airport bus on a very bumpy ride – resurface that road!) to the welcoming Church Guesthouse in Cardiff is the giant stadium along the river. 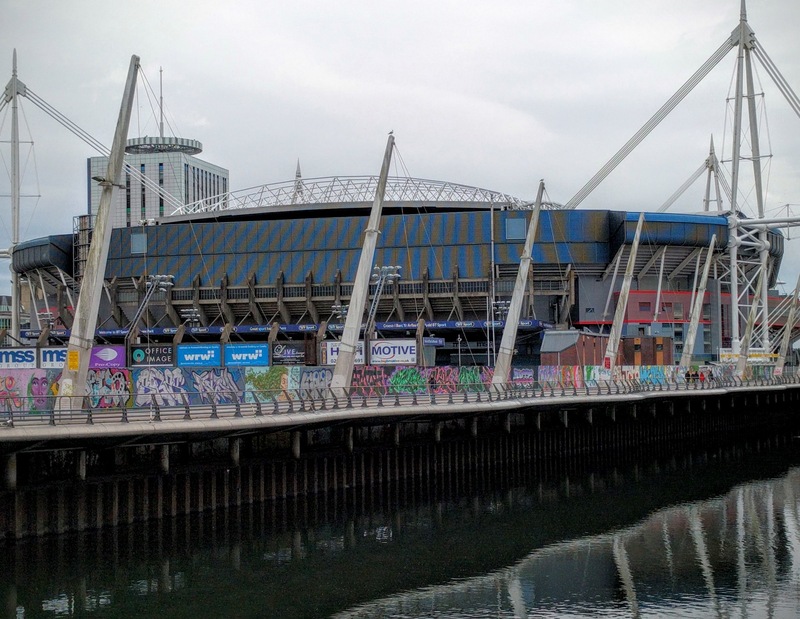 For a small city, Cardiff has lots of sports stadiums and arenas. Our travel blogger conference was held at City (football) Stadium and I learned there is a new ice hockey arena that recently opened on the bay. My trip was filled with numerous stops for liquid refreshment, namely coffee and beer. My first coffee stop upon arrival was at a cozy cafe called Lufkin Coffee Roasters; a few minutes walk from my lodging on Cathedral Road. 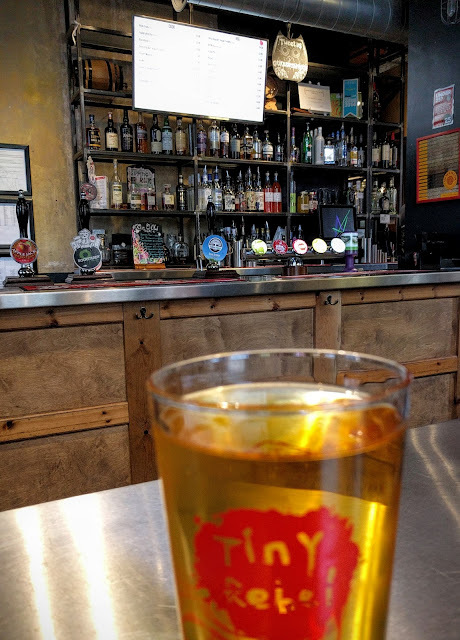 For beer I made it my job to sample a variety of excellent Welsh craft ales and stouts at local pubs including Y Mochyn Du where I stayed for a delicious lunch and the Urban Tap House which produces Tiny Rebel beers and cooks up tasty burgers. 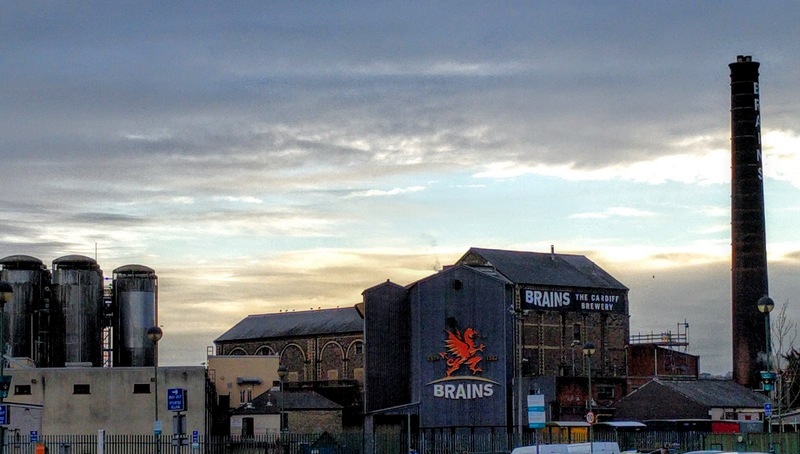 I also grabbed this industrial snap of the Brains Brewery which is a Cardiff institution. 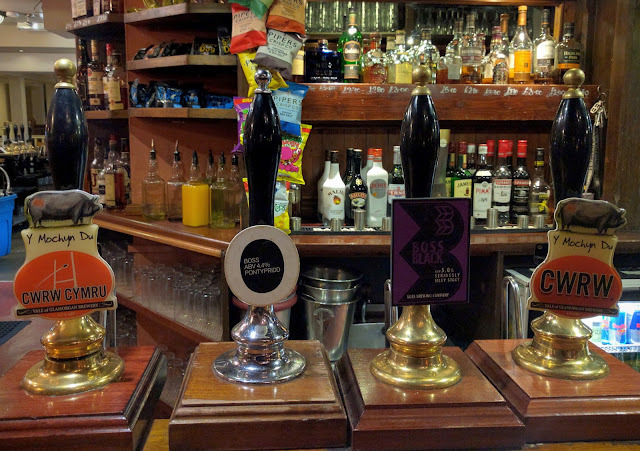 You can try all their beer labels at the friendly Cardiff Cottage pub as well as most other pubs in town. The next day I embarked on the highly recommended Mines and Mountains tour run by See Wales. The same tour for conference attendees was full for Sunday, but I was kindly offered a complimentary space so I didn't miss out on this experience since I arrived early. 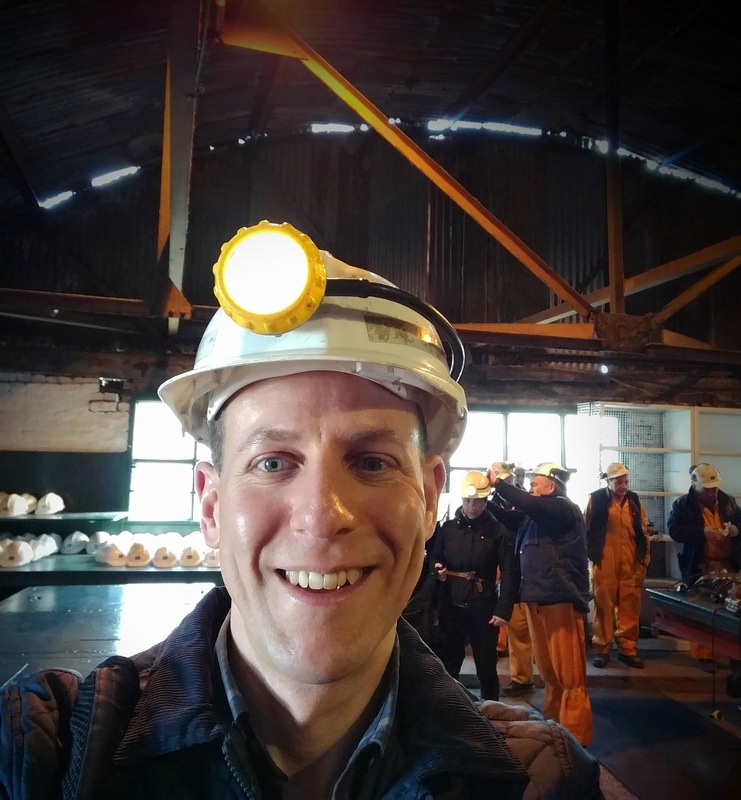 The highlight for me was the visit to the Big Pit National Coal Museum. 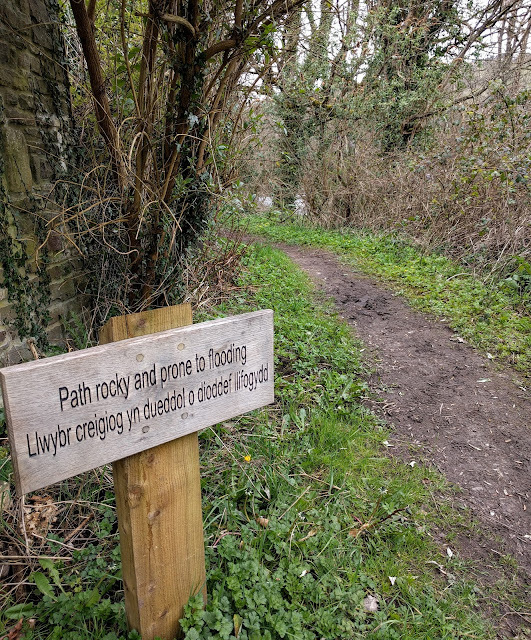 Where else can you learn about the central role that coal mining played in the prosperity and decline in the context of Welsh history? 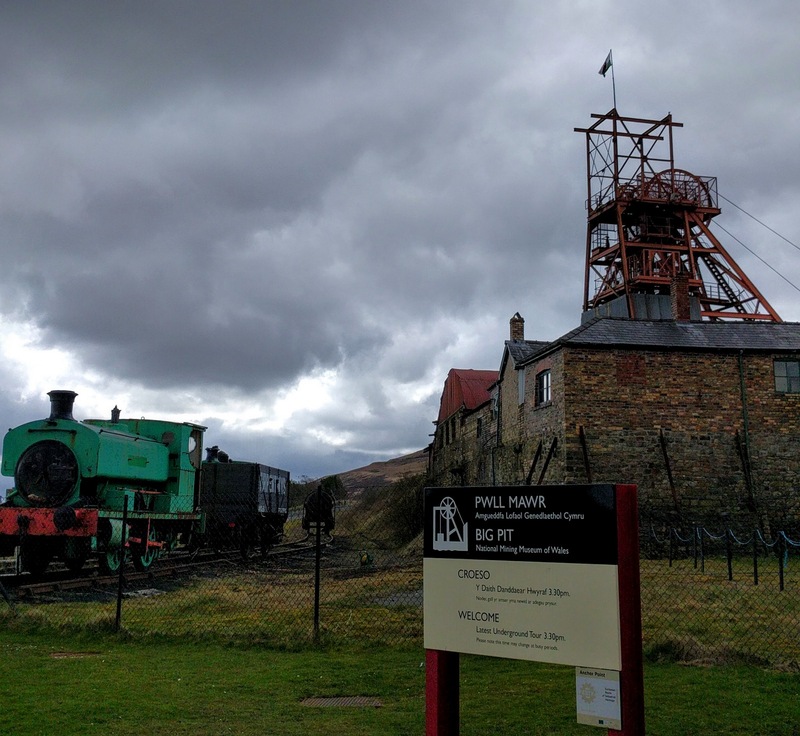 The tours down into the actual mine are led by former coal miners who lost their job when the mines were shut down by the British government back in 1980. After donning a hard hat with torch affixed, we descended 90m down the lift (yes I'm using the British English terms for flashlight and elevator). We walked through the old mine shafts and learned what it was like in the 1800's all the way up to recent times. In the early days women and children (and horses and canaries) worked in extremely harsh conditions for very little pay. 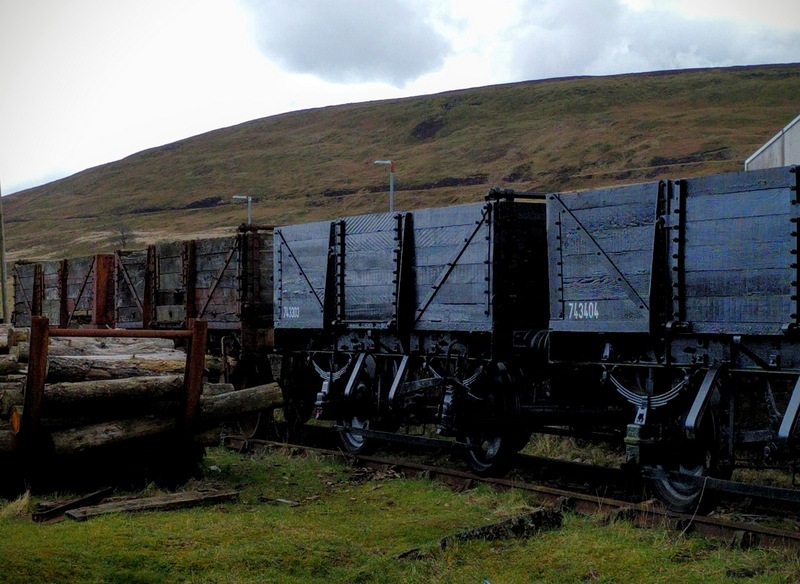 Safety improved over the years as coal continued to be extracted and transported to Cardiff for worldwide export. No photos or electrical devices of any kind (that includes watches with a battery) were allowed into the mine due to spark risk, so I cannot share any photos of what we saw below the surface. Our tour continued to the town of Brecon where we visited the historic cathedral and stopped for lunch. This day tour includes a visit to the Brecon Beacons National Park and includes a short hike on a hill with 360 views. The area was green and stunning. A lot like Ireland! Even the signs were in two languages, in this case both English and Welsh, which is a bit more intimidating looking than Irish. If I had the time that weekend I would have loved to take another See Wales tour such as the Roman Ruins or Gower Peninsula as several people on the mini-bus had done. 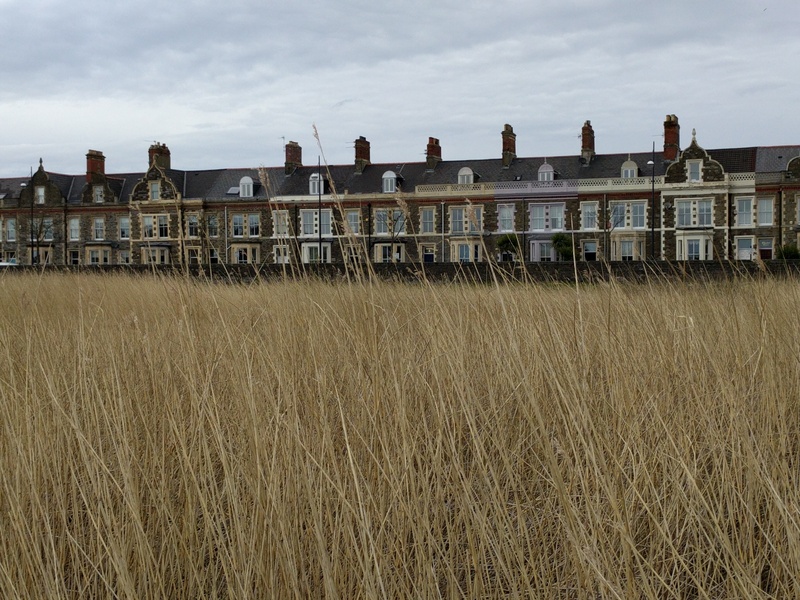 It pays to get beyond Cardiff and since public transportation is limited, the bus tour is easier than renting a car. 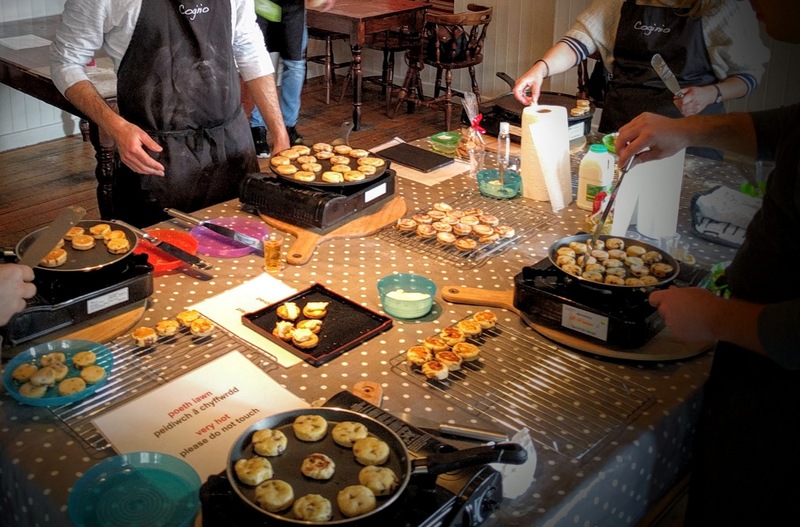 Another highlight of my weekend was taking a food tour of Cardiff followed by a lesson on how to make Welsh cakes. For me, Welsh cakes are just like cookies that you cook on a stovetop griddle instead of baking. While the traditional recipe includes raisins (or is it sultanas?) and spice, I was fortunate to choose a prep station set up for the orange and chocolate variety. 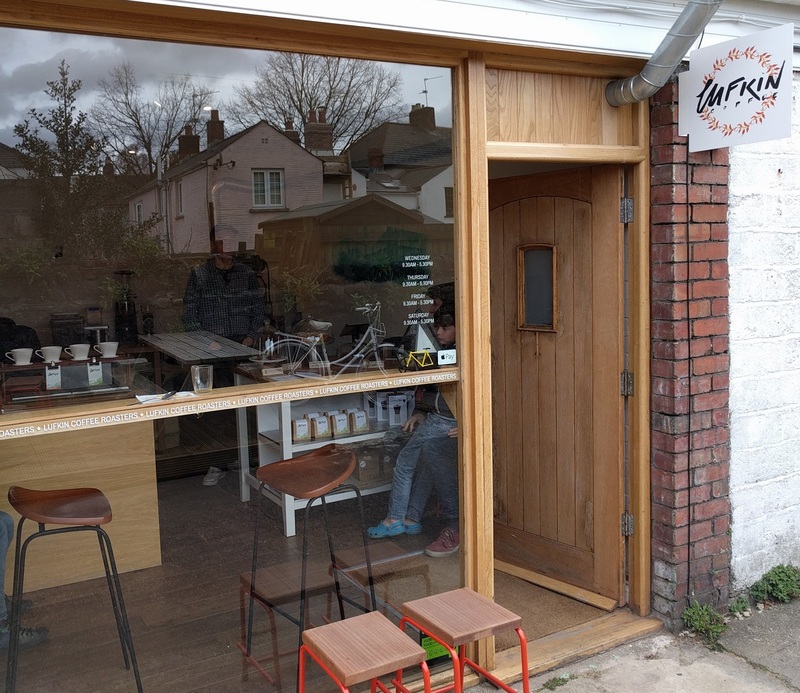 The free tour was organized by the visit Cardiff tourism council and expertly led by Sian of Loving Welsh Food who runs workshops and the Welsh Food and Drink Safari. Before grilling up those hot Welsh Cakes we hung out at the Sunday market along the river. After tasting a few of my creations and toasting with Welsh cider, I packaged up the rest of my homemade cakes for the trip home (and to share a few with Dr. J of course!). 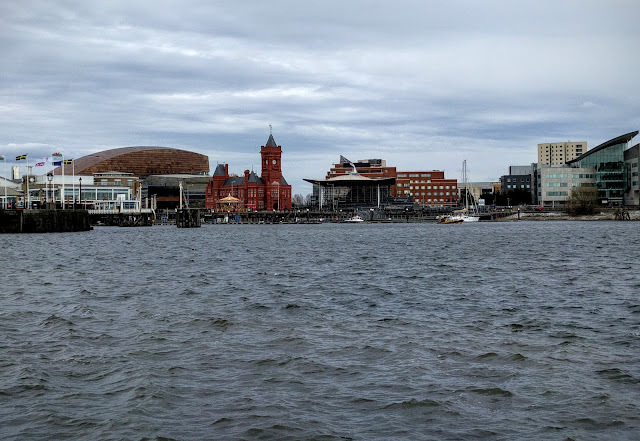 My final few hours in Cardiff led me from the castle to the bay. 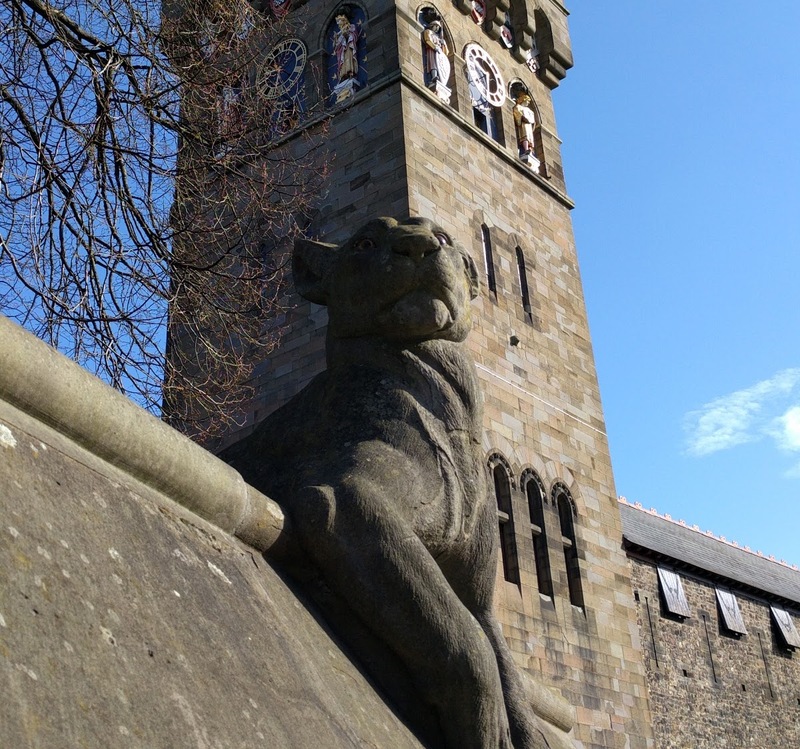 I wish I had the time to go inside the castle grounds as I had a free ticket available, but Cardiff Bay was calling that afternoon. 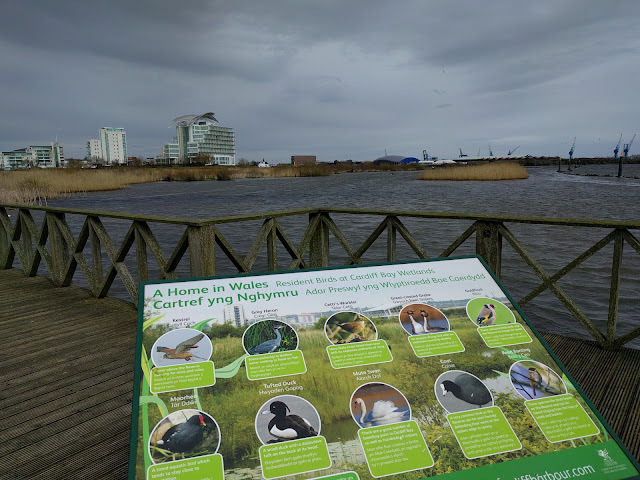 I also noticed a wetlands area on Google Maps and wanted to take a stroll along the water and relax before my Flybe direct flight back to Dublin. While the walk along the footpath (OK, sidewalk) and boardwalk was scenic, there were few birds to be seen during my visit in April. Still you can't visit Cardiff without taking a quick bus ride down to the bay with its many indoor and outdoor attractions. My last stop was a modern Wetherspoon-branded pub that felt like a craft beer bar before heading back to catch my airport bus. Thanks Cardiff for the new memories and true Welsh experiences. 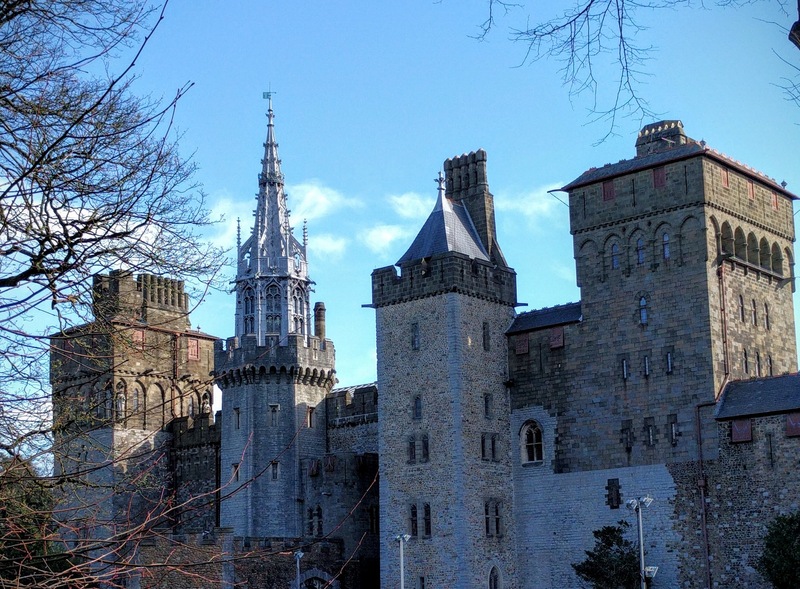 Learn more about things to do in and around Cardiff, Wales on a weekend city break. A guest post by Scott of VacationCounts on the Sidewalk Safari blog.